Functioning conveyors are essential for smooth process flow. 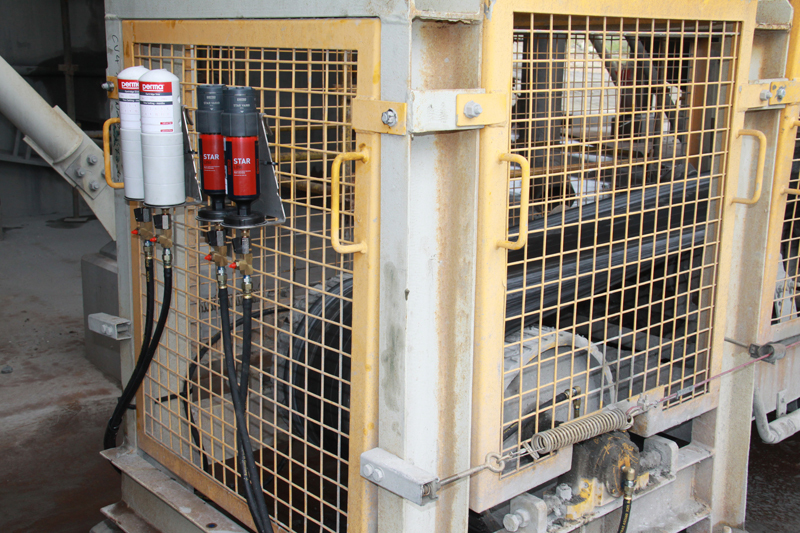 Despite dirt, dust or strong vibration, optimal lubrication is necessary to prevent equipment failures. Equipment downtime, costly repairs and service calls make up a significant portion of the operating costs. Pillow block housings with spherical roller bearings are mainly used for drive / guide pulleys. Large conveyor systems often extend over several levels and are difficult to access. Re-lubrication should ideally take place while the equipment is running. Lubrication points are often neglected because they are located up high, around the back, or in places with little room to maneuver. Maintenance work in such areas during operation is extremely dangerous and jeopardizes workplace safety. Lubrication starvation results in wear, which leads to failure of equipment components and reduces productivity and cost effectiveness.